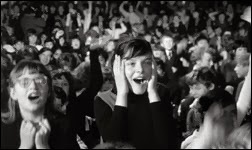 New Promotional Special: "Things They Said Today..."
Richard Lester's landmark film "A Hard Day's Night" was released just after Beatlemania had swept across the Atlantic to America. The four lads from Liverpool were fortunate to have such an incredible film crew around them for their first film effort. Previous bands had made silly, inane movies, which were an embarrassment to fans and the bands alike. Director Richard Lester was an American director living and working in England. Most of his experience had been limited to TV ads and the "Goon Show" with Peter Sellers, Spike Milligan and Harry Seacombe. John Lennon and Paul McCartney were both huge "Goon Show" fans, so Mr. Lester was fine by them. 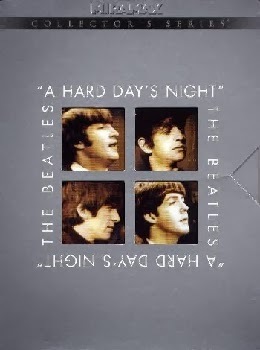 Contrary to popular belief, the witty lines in "A Hard Day's Night" weren't ad libbed. Writer Alun Owen followed the Beatles around for a while. 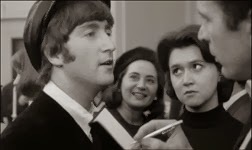 The madness he witnessed as mobs of screaming fans tried to rip the Fab Four apart became the basis of his script. 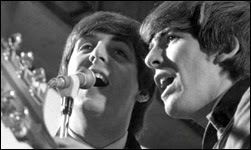 "A Hard Day's Night" is a free form movie, which follows the Beatles through a typical day. Full of great songs, hilarious comic bits, surreal lapses of reality and some very droll humor, "A Hard Day's Night" was a huge box-office success. To the surprise of everyone, including the filmmakers and band, the movie was also a huge critical success. Following on the heels of the French New- Wave, and the "Angry Young Man" revolution in European cinema, "A Hard Day's Night" foreshadowed many of the film techniques of the 70s, 80s and beyond. It's isn't hard to see the seeds of Tarantino in Richard Lester's film. "A Hard Day's Night" is one of the best films from the 1960s. 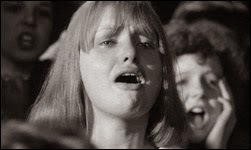 it is also a time capsule of the madness that was Beatlemania. "A Hard Day's Night" was also proof to the world that these four young men from Liverpool were more than just a flash in the pan. The best was yet to come. Classic film given the royal treatment by MIRAMAX. Outstanding picture and sound. Mind-boggling extras. The only thing missing are interviews with the surviving Beatles. 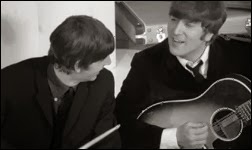 Surely they could have gotten Ringo to do one! He never held himself above his fans. 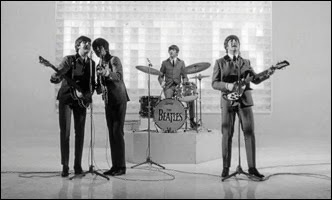 Picture Quality: "A Hard Day's Night" was filmed in Black and White because of monetary concerns. I've always felt that "A Hard Day's Night" worked better in Black and White than the Technicolor follow-up, "Help!" The look of the film is reminiscent of other classic British working class films like "Saturday Night and Sunday Morning" or Tony Richardson's "The Loneliness of the Long Distance Runner." The Beatles were working class guys, with working class fans...at first. Black and White was the appropriate medium. The grayscales on this DVD are excellent. The film and soundtrack were remastered for theatrical release earlier this year. The digital transfer is excellent. No artifacts, pixilation or delineation problems. WOW! The final concert scene is amazing. The soundtrack was digitally remastered. The songs sound as clean and crisp as the day they were recorded. In many ways, they sound better. Excellent balance between the ranges. Nice integration of the low ranges from the sub-woofer. No loss of dialogue. The only way you'll miss something is if you are laughing or screaming! Excellent interactive menu. The menu follows the film's credit sequence motif. Easy to navigate, and there is a lot to navigate through. The DVD-ROM menu might be even better than the main DVD's. I didn't find any Easter Eggs. The extras are overwhelming. Disc one includes the new promotional film, "Things They Said Today." This 50-minute documentary gives you a good overview of the making of this film. It includes interviews with most of the principle players who made this happen. The rest of the DVD's interviews flesh out the story from the perspectives of a huge number of the cast and crew. Disc One also includes the DVD-ROM features. There is a cool screenplay viewer. You can watch the movie and read two different copies of the script. There is a copy of the original script with Alun Owen's notes. The second copy is a typed version of the script. There are links to the film's web-sites on the DVD-ROM feature also. One of the coolest features on the entire disc is the archived website. If the internet had existed in 1964, the film's official site may have looked like this. The promo material is written just like the Beatles' material was written way back when. Lots of pictures. This feature has a high nostalgia factor. Very cool, or Fab if you like. Disc Two is made up of several hours of interviews with just about everyone involved in this production except the band. Director Richard Lester, Sir. George Martin, studio exec David Picker and producer Denis O'Dell each share their memories in the section called "There Production Shall Be Second to None." Very informative and entertaining. Many of the interviews will be of interest to fans only. There are tons of them. A couple that I really enjoyed were the interviews with actress Ilsa Blair discussing her deleted scenes and running the gauntlet of fans with Paul McCartney. The Klaus Voorman interview is also cool. Mr. Voorman became a friend of the band during their days in Hamburg. 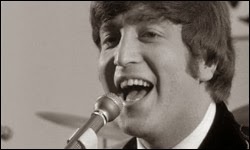 He drew the cover of the "Revolver" album and performed at George Harrison's "Concert For Bangladesh" and John Lennon's "Live Peace in Toronto." The tribute to Wilfrid Brambell is great. Mr. Brambell plays Paul's rascally grandfather in the movie. His other claim to fame was as Steptoe in the British TV comedy "Steptoe and Son" which was the basis for Red Foxx's show "Sanford and Son." Whether you are a baby-boomer remembering the old days, or a young film fan, Richard Lester's "A Hard Day's Night" is a classic of world cinema. It captured the Beatles in their prime; the madness of an era and it advanced the language of film. This is a must have DVD. One of the best I've ever seen. Thanks MIRAMAX!